Soaring food prices were a major trigger for the riots that has destabilized North Africa and the Middle East beginning December 2010 in Tunisia. Political unrest has since engulfed Algeria, Egypt, Jordon, Libya, Syria, Yemen, and spread to Burkina Faso, Niger, Nigeria, Cameroon, Uganda, and beyond [1-4]. Latin America is said to be at risk , and even Britain, if food prices continue to rise . The UN Food Price Index has been hovering above 231 points since the start of 2011, and hit its all-time high of 238 points in February. The May 2011 average was 232 points, 37 percent higher than a year ago . Richard Ferguson, global head of agriculture at Renaissance Capital, an investment bank specializing in emerging markets, told The Guardian newspaper in the UK  that the problems were likely to spread. 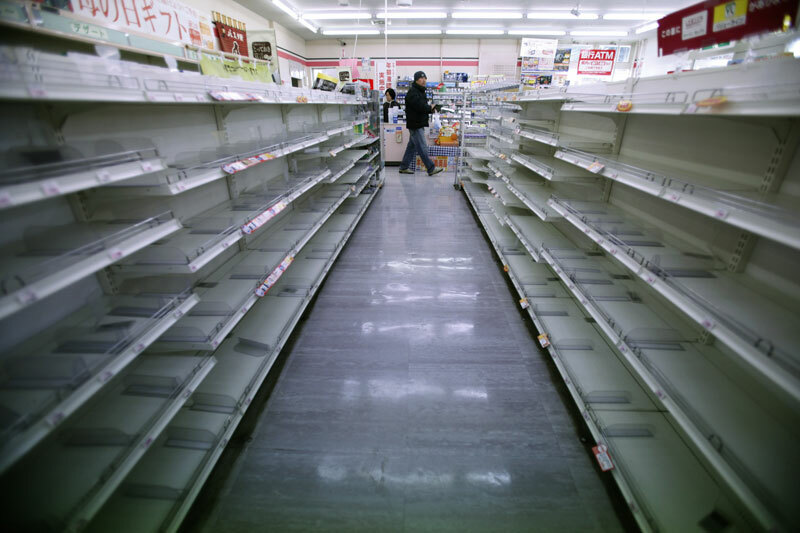 “Food prices are absolutely core to a lot of these disturbances. If you are 25 years old, with no access to education, no income and live in a politically repressed environment, you are going to be pretty angry when the price of food goes up the way it is.” It acted “as a catalyst” for political unrest, when added to other ills such as a lack of democracy. 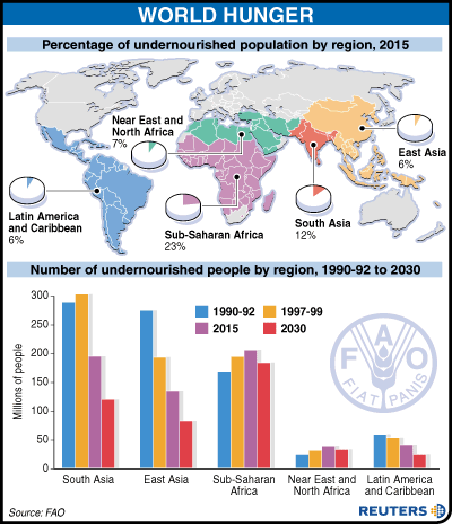 That’s why “the food crisis of 2011 is for real”, Brown warns, and why it may bring yet more bread riots and political revolutions. Tunisia, Egypt, Libya, may not be the end, but the beginning. 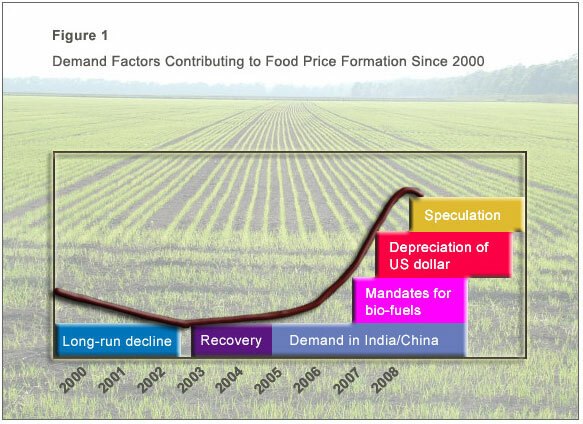 Brown does not mention the huge speculation on agricultural commodities in the world financial markets that not only drives up prices but increases volatility, making it much more difficult for farmers and consumers to cope (see  Financing World Hunger, SiS 46). Olivier de Shutter, the United Nations special rapporteur on the right to food, has referred to the 2007-2008 crisis as a “price-crisis” not a “food-crisis”, precipitated by speculation and not linked to insufficient food being produced, at least not yet, as Brown elaborates. The year started grimly with news of the food prices rising to the highest point since 1990, according to the Food and Agriculture Organisation. They have surpassed the 2008 prices that led to widespread rioting and unrest across the developing world; immediately, bloggers such as Duncan Green and Alex Evans were asking why there had been no riots. And just as they were posting, riots flared up in Algeria, with two killed and hundreds injured in the protests against soaring food prices. Across the border in Tunisia 14 were killed in clashes with the police. As the unrest spreads across northern Africa, Egypt is nervously trying to put measures in place to prevent any comparable violence, with extra supplies of meat being flown in from Kenya. An occupational hazard of blogging; no sooner have you posted, than somewhere in the world you have been outstripped by events. Today in Madison, Wisconsin dairy farmers from across America are coming together2 to tell stories of price manipulation, antitrust violations and more, that have ultimately led to the loss of their herds, their farms, their livelihoods and in some cases even their own lives. It’s time to take on corporate power in our food supply. Stand with farmers today to tell the Department of Justice that enough is enough. 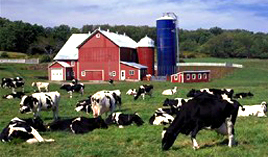 For the past 18 months America’s dairy farmers have faced their worst crisis since the Great Depression3 while at the same time, giant dairy processors and co-ops have raked in record profits. Countless pleas for justice and numerous attempts to remedy the situation have failed.